Ameritech serves the highway, railway, utility, mining and public/private construction sectors providing Rock and Soil Slope Stabilization. We employ some of the most knowledgeable people in the industry and have experienced continual growth each year since inception. Our main office is located in Western North Carolina with a division, ASC Rockfall, Inc. located in Saint-Lazare, Quebec. 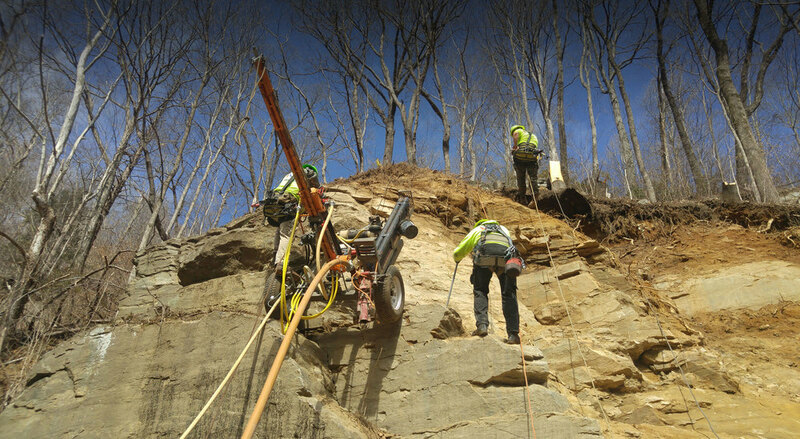 We mobilize personnel and equipment to address rock and soil slope stabilization projects throughout the contiguous United States, Hawaii, Canada and the Caribbean. Our work experience covers all aspects from hands-on Rock and Soil Slope Remediation Work to Project Management. Through effective use of these combined skills and experiences the Ameritech team can provide practical solutions for any slope stabilization problem. Many of these solutions involve specialty construction techniques. At Ameritech Slope Constructors, Inc., we apply these specialty techniques for cost effective slope stabilization and remediation projects across the US and beyond.